Red Banks Conservation Park was proclaimed a Park in 2002. Previously is was owned by the Council and used as a recreation area, often inappropriately for off-roading. It is a stunning area. 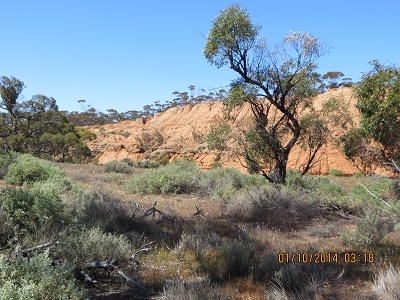 There is a variety of vegetation from scrub to large trees, for example, river red gums, two creeks dissecting the Park with permanent water and massive red-cliffs. 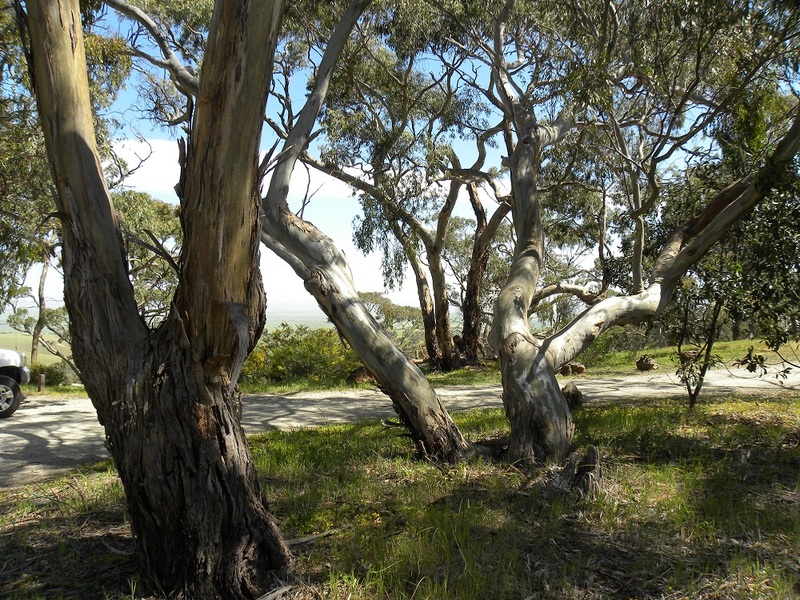 There is a camping area with ten camp-sites marked and a day use area separate from the camp-ground. We travelled to the day use area. I set up my FT897 on five watts and engaged in 11 contacts with locals on 40 metres before moving to 20 metres. I increased the transmit power to 40 watts and easily worked Paul, EA5/GM0OPK. I used my large LIfePO4 battery and linked dipole. Red Banks Conservation Park. Using the Yaesu 897. 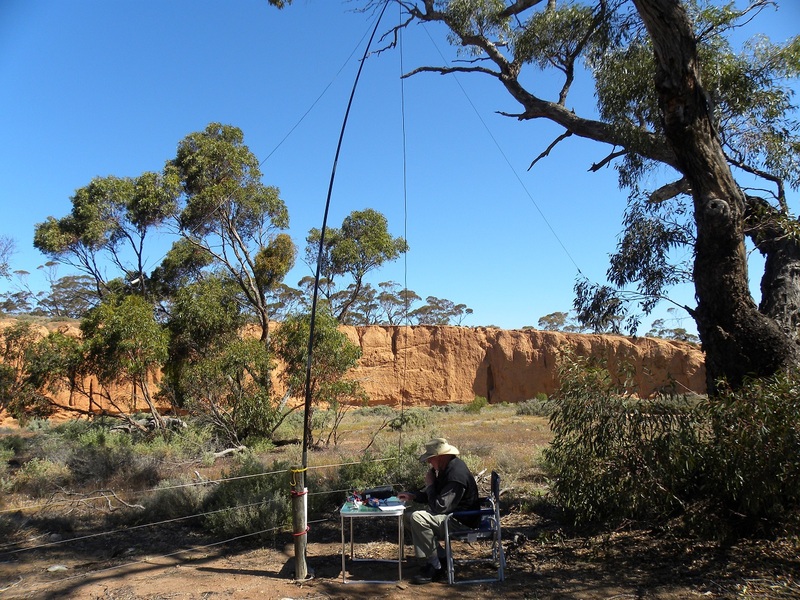 I enjoyed the following contacts on 40 metres: VK5GJ, Greg at 03:36; VK3VBI, Ron; VK3FKJC, Kevin; VK5NQP, David; VK5LY, Larry; VK5WG, Nev; VK5LI/M, Craig; VK5NFB, Don; VK5LY, Larry for a longer qso; VK5BAR, Adelaide Hills Amateur Radio Society, Inc., David, VK5KC operator and then I migrated to 20 and at 05:34, had a contact with Paul, EA5/GM0OPK, 30k North of Valencia. I gave Paul 5 and 7 and he gave me 5 and 4. I tried to have a qso with Enrico, I6EH, but the E in my call-sign proved too big a stumbling block. I gave him 5 and 8 and he gave me 5 and 4. I will not count the contact. 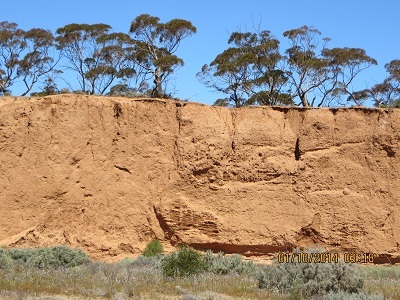 Mokota Conservation Park: notice rocky spine! Mokota Conservation Park was proclaimed in 2002. 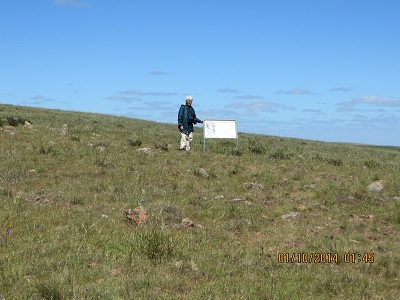 The land, 455 hectares, was purchased by the State and Federal Governments to conserve native grassland. The park is treeless. On the highest section small rough hewn rocks emerge from the ground giving the appearance of a backbone running up the hill. Interpretative signs are placed strategically to assist visitors. See the photo below. I set up my station near the entrance using the park fence to support my squid pole and linked dipole. The radio I used was the Ten Tec Argonaut, Model VI, with the power set at five watts. 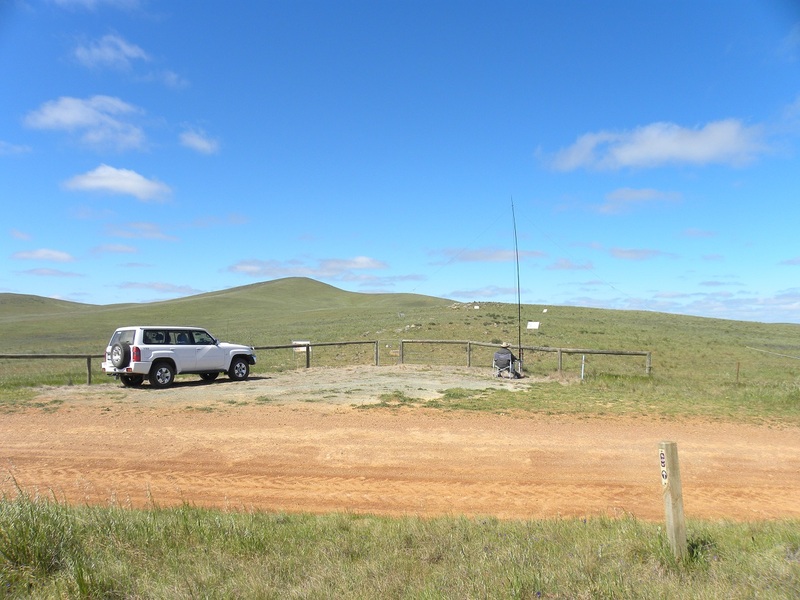 I was very pleased to work two SOTA stations, including VK1ATP/P7, Paul, in Tasmania and Ian, VK1DI/P1, on Black Mountain in Canberra. The following contacts were had on 7.100: VK1DI/P1, Ian, on VK1/AC-042 at 00:27; then 7.090, VK1ATP/P7, Paul on VK7/EC-045; 7.100, VK5WG, Nev; VK5FPAC, Bob; VK5AKM, Keith; VK5LDM, Dennis; VK5AKM, Keith, then on 14.150, VK2AXM/M2, Max travelling to Newcastle. Eight contacts – and I called on 20 metres for a few minutes before Max called me and we enjoyed a 20 minute qso before conditions deteriorated. 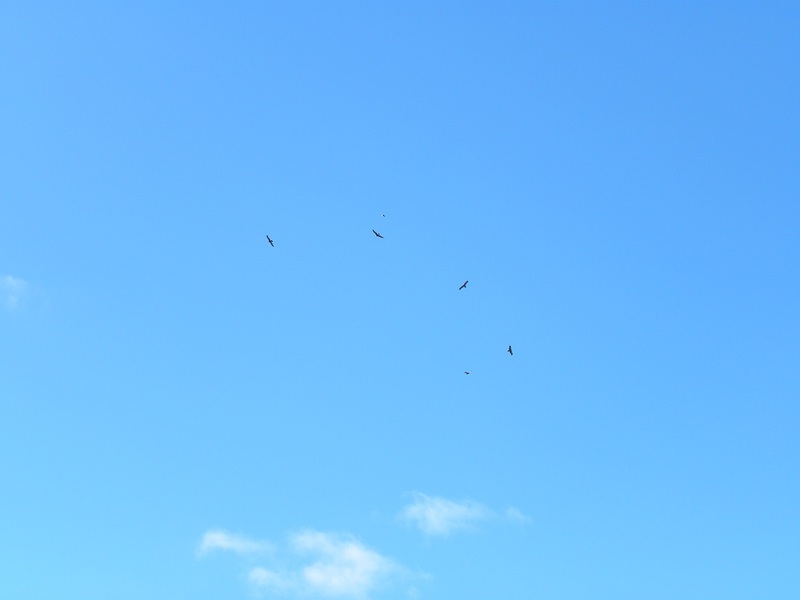 There are five wedge-tail eagles in the photo. The attacker (a magpie?) is above the eagle highest in the picture. Double-click on picture to expand.